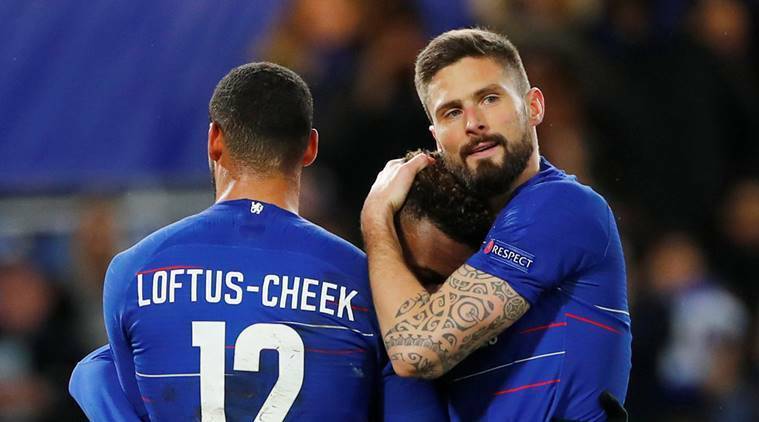 Chelsea closed in on the Europa League quarterfinals with win over Dynamo Kiev, while Arsenal and Benfica will have to overturn deficits in the second leg of their round-of-16 matches to advance. 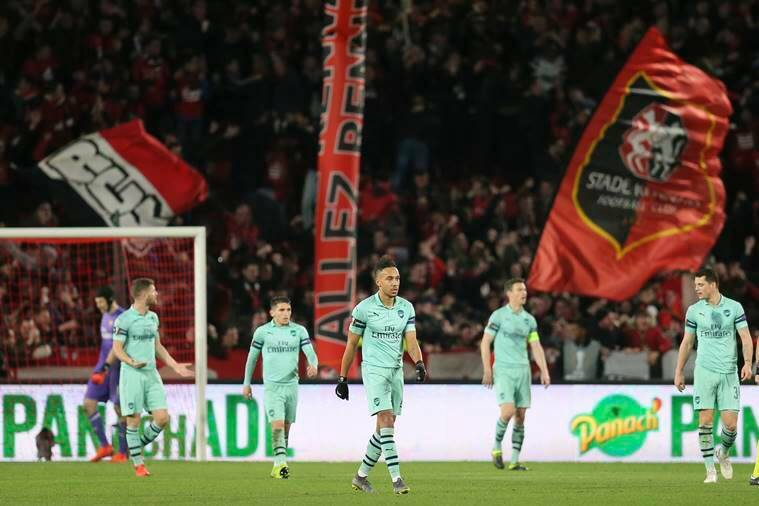 Fellow London club Arsenal, though, is in trouble following a 3-1 loss at Rennes. The French club rallied from an early deficit after Arsenal was reduced to 10 men to spoil goalkeeper Petr Cech’s return to the city where he spent two seasons early in his career. The 36-year-old Cech, who is retiring at the end of this season, made some great saves against the attack-minded home side but couldn’t do anything to prevent his former club from building a massive advantage ahead of next week’s return leg at the Emirates. Napoli cruised past Salzburg 3-0 and Valencia beat Krasnodar 2-1, while high-scoring Eintracht Frankfurt was held to a 0-0 draw at home by Inter Milan. Also, Villarreal struck twice in the second half to earn a 3-1 away win at Zenit St. Petersburg. The return games take place on March 14. Sarri made six changes from Sunday’s 2-1 victory over Fulham, and two of those players made the difference in the first half. Pedro squandered more chances as Dynamo had no answer to Chelsea’s dominance. After Nacho Monreal’s own goal in the 65th, Ismaila Sarr completed a dominant performance by Rennes, heading home from close range two minutes from time. Wissam Ben Yedder was on target even earlier than Iwobi, punishing Slavia Prague’s poor defending within the opening minute to give Sevilla an early lead. It was the seventh goal for the forward in the Europa League this season, joining Salzburg’s Munas Dabbur atop the scoring table. Napoli Coach Carlo Ancelotti kept a perfect record in the Europa League with a third win in his first three games, this time at the expense of last year’s semifinalist Salzburg. Forward Arkadiusz Milik ended his scoring drought in European competition after 10 minutes at the Stadio San Paolo. Napoli’s leading scorer in Serie A – with 14 goals – beat an offside trap before rounding goalkeeper Alexander Walke to score into an empty net. Eintracht had been the highest-scoring team in the competition so far, but Inter’s defense was too difficult to crack for the German side. It even needed goalkeeper Kevin Trapp to save Marcelo Brozovic’s penalty in the first half to salvage the draw. Zenit’s Sardar Azmoun canceled out Villarreal’s opening goal in the first half but the Spanish team scored through Manu Morlanes and Gerard Moreno hit in the second half to take firm control ahead of the return leg. Forward Rodrigo Rodrigo netted twice in the first half for Valencia, but Viktor Claesson pulled one back in the second half for Russia’s Krasnodar.